The Android overlay Facebook Home, out for almost a month now, was only available on a handful of select devices. That is, until yesterday. Thanks to a small change, the social network's core Android app is allowing unsupported handsets to use it anyway. Android Central reported that the May 9 update to the official Facebook app for Android appears to have added more than the scant change log may lead users to believe. As Facebook boasts of nearly hitting 1 million installations since the April 16 debut of Facebook Home, the glorified launcher can now be installed on a number of previously unsupported handsets. For those smartphones, users installing Facebook Home will be warned they "may not get the best experience," with the option to go straight to Facebook proper or "Use Home Anyway." At least two flagship handsets - Samsung's Galaxy S4 and Sony's Xperia ZL - are said to work just fine by ignoring the aforementioned warning, while a third, the HTC One, appears to be working with no prompt at all. The HTC One and Galaxy S4 were initially listed as supported by Facebook Home, but this marks the first time users have been able to install the launcher via Google Play on such devices. Thursday's update to the official Facebook app presumably added this unofficial support, also introducing an option for persistent notifications which can be disabled via Settings. 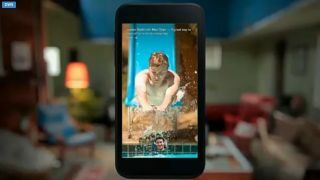 Undocumented support arrives on the heels of a steep price drop for AT&T's Facebook Home-equipped HTC First, which U.S. buyers can now grab for a mere 99 cents with two-year agreement.